Cognitive restructuring: Recognising what needs to be changed. Developed by Kurt Lewin back in the 1950s. His model refers to the three-stage process of change he describes. 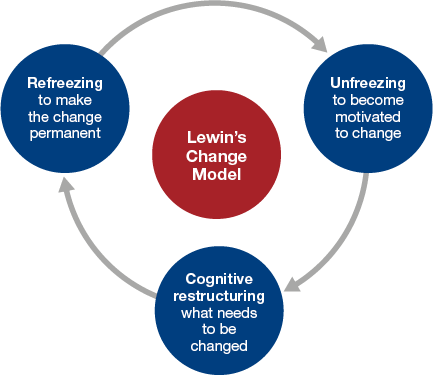 Learn more about Lewin’s change theory in this short video by MindTools.